Muskegon, MI (September 4, 2014) – It is with great pleasure and excitement that WUVS 103.7 FM announces a partnership with the Big Red Radio Network to carry all Muskegon High varsity football games effective immediately. The first broadcast will be this Friday, September 5th, when Muskegon will play host to the Eagles of Grand Rapids Christian from Historic Hackley Stadium. The pregame show will take the air at 6:30 p.m. with kickoff scheduled for 7:00 p.m.
WUVS will carry all Big Red games – home, away, and through the MHSAA playoffs – live on 103.7 FM. The Beat welcomes veteran play-by-play announcer Bob Eacker along with his partner in the booth, local coaching legend Dusty Fairfield, who will provide color commentary. 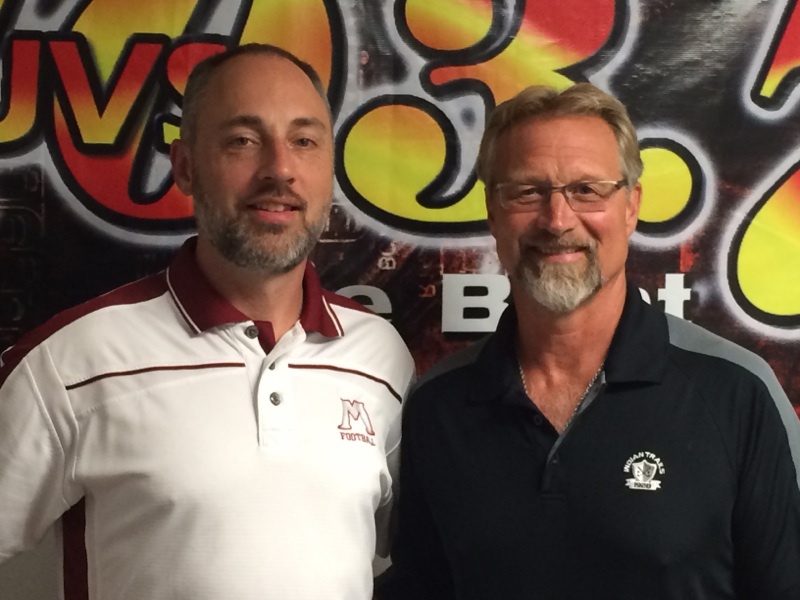 Eacker, a member of the graduating class of 1987 at M.H.S., has been calling all Muskegon games for the past four seasons for another local station, and is looking forward to continuing coverage of the state’s winningest football program. Muskegon High School athletic director Keith Guy also sounded his support for the new radio coverage deal. If you would like to be a sponsor of the Big Red Football Broadcast please give us a call at 231-727-5007.